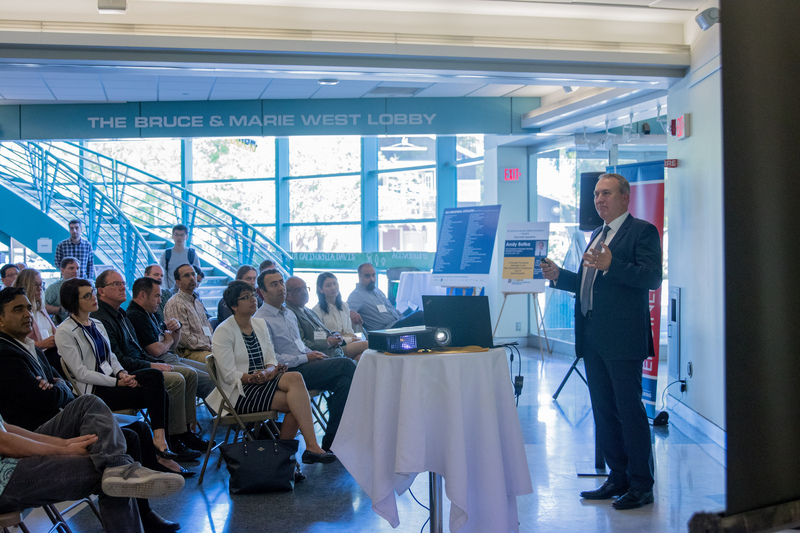 The primary goal of the symposium was to show our industry partners ECE’s wide array of faculty-led, next-generation developments and applications, and demonstrate the innovative research projects of our talented students. 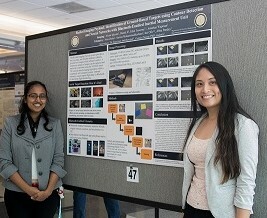 The schedule schedule of events included new faculty presentations by Associate Professor Srabanti Chowdhury and Assistant Professor Weijian Yang, two technical sessions featuring several faculty and student presentations, and an interactive poster session that highlighted the research of over 70 undergraduate and graduate students and postdocs. Students and postdocs were excited about the opportunity to interact with industry representatives, showcase their projects, and talk about potential career opportunities post-graduation. 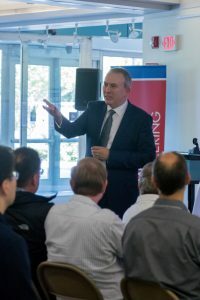 Attendees were also able to hear about ECE’s new developments and our future direction.